After a particularly nasty winter, summer has finally arrived in Minnesota. Our residents have come out of hibernation, and onto the patios of every restaurant in the metro area. Just as the ice was thawing (a few weeks ago) we brought in some really great juices that Scott had discovered on one of his last trips to France. Alain Milliat grew up in the French gastronomic capital of Lyon, as the son of a fruit farmer. Today he takes heirloom fruit varieties at their peak of ripeness and preserves them in juice. His juices have been lauded by some of the world’s highest ranked sommeliers – and we think they are pretty darn tasty too! What we especially like about his juices is that they capture the flavor and the texture of the fruit, the raspberry nectar is jammy and pulpy, the pear juice is aromatic and creamy with the crisp tannic finish you would expect from biting into the fresh fruit. The passion fruit nectar is a convenient alternative for home-mixologists unable to use up a foodservice sized container of fruit puree. Whether you are looking to quench your thirst, or make a killer cocktail, these juices are worth a taste. 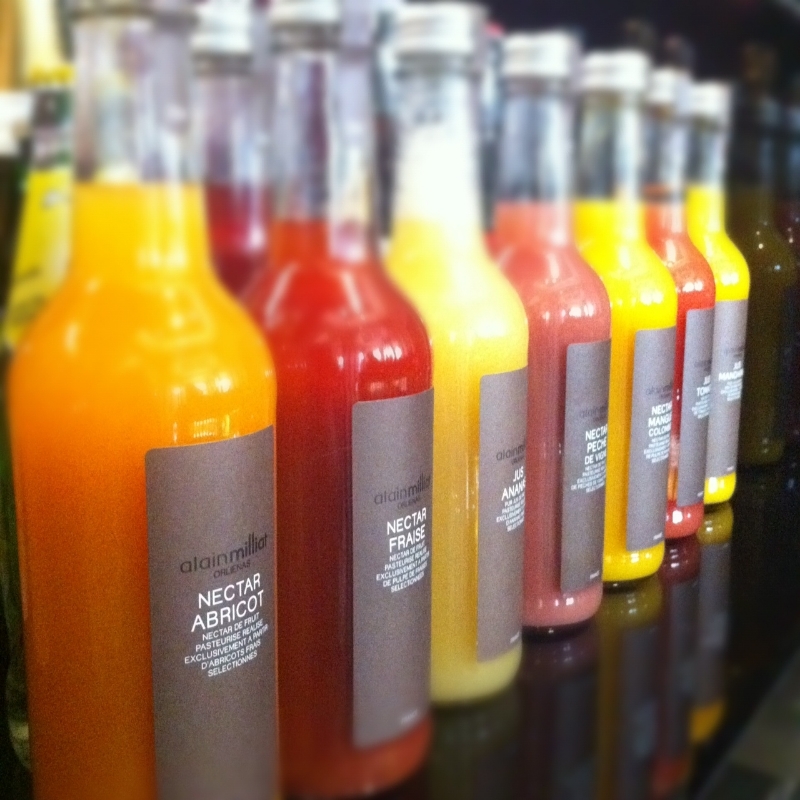 Flavors in house (sold in 330ml bottles, 12/CS): Cox Apple, Apricot Nectar, Mango Nectar, Morello Cherry Juice, Passion Fruit Nectar, Summer Pear Nectar, Raspberry Nectar, Wild Strawberry Nectar, White Peach Nectar, Tomato Juice. 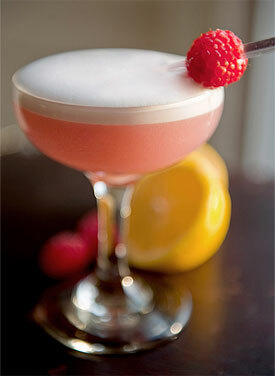 Don’t let this pink frothy drink fool you – the venerable Clover Club cocktail dates back to 1910, when industry captains would kick back at the eponymous Philadelphia men’s club to celebrate a job well done. Milliat’s raspberry nectar is a fresh lively alternative to the original recipe’s call for grenadine, but any of his fruit nectars would make for an interesting variation. Shake well with cracked ice until the egg white has created a frothy foam, then strain into a chilled cocktail glass.